The Peabody Hotel in Memphis is a landmark in US history, at least for two reasons: it is the place where Elvis used to buy its clothes (!!) and it has a fountain where a few famous ducks happily swim all day long. 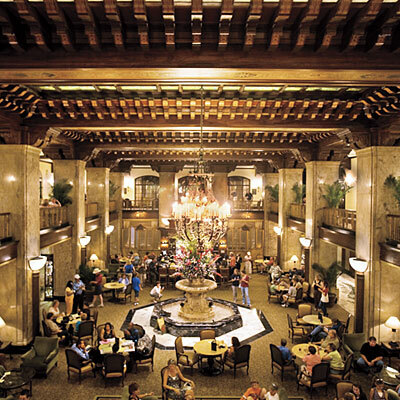 Apart from this, the Peabody offers a lobby bar that is referred to as the “living room of Memphis”: the place to see and be seen in the South. The atmosfere is the one of the rich south, and you can sip your martini among businessmen drinking burbons and mint juleps and discussing the laters news in the cotton business (well maybe this is a bit too much…). You can get your Martini “up” or “on the rocks”, and the selection of gins is pretty good. Classic Martini Rate: 6/10.